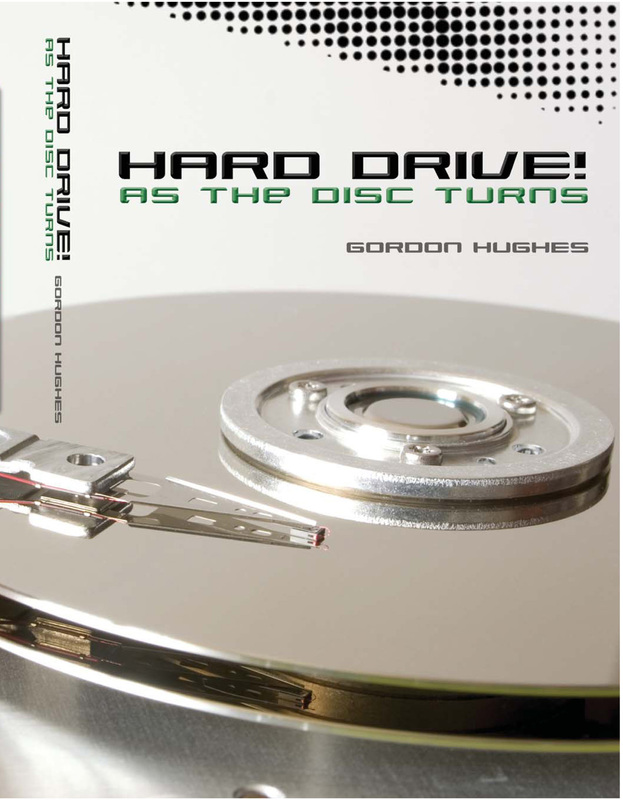 Hard Drive The Novel - Silicon Valley "Cowboy Company"
“Hard Drive!” is a Silicon Valley high-tech adventure documentary novel set during the rise of Seagate Technology, today's leading maker of computer hard disc drives. 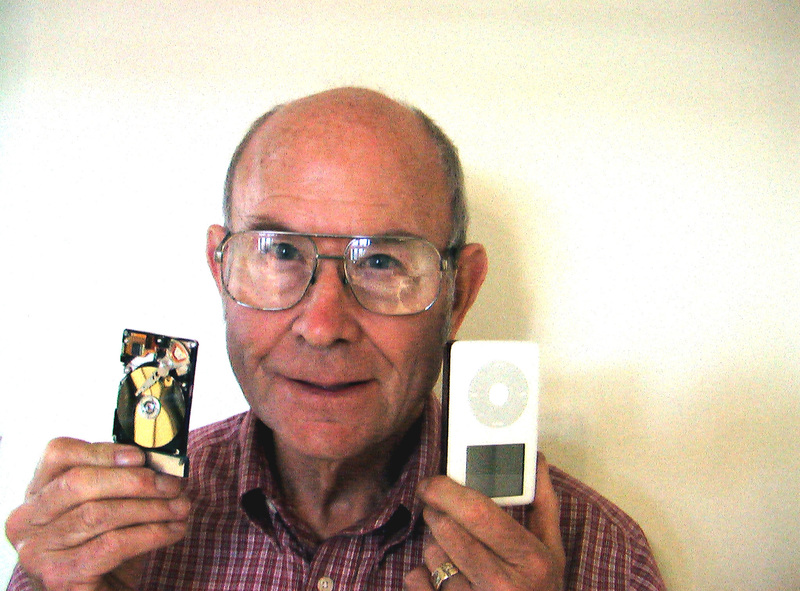 My years at "cowboy company" Seagate were so extraordinary I felt driven to tell their stories. Now available as a Kindle e-book for $1.99. Signed book copies available. Begin your adventure now! It’s an adventure of a lifetime of a magnetics researcher turned design engineer, participating in the half-century of disk drive progress led by colorful and intriguing pioneers that took drives from a dream of Ada, Countess of Lovelace in Victorian England, to today’s drives that hold the world's information and empower the Internet. 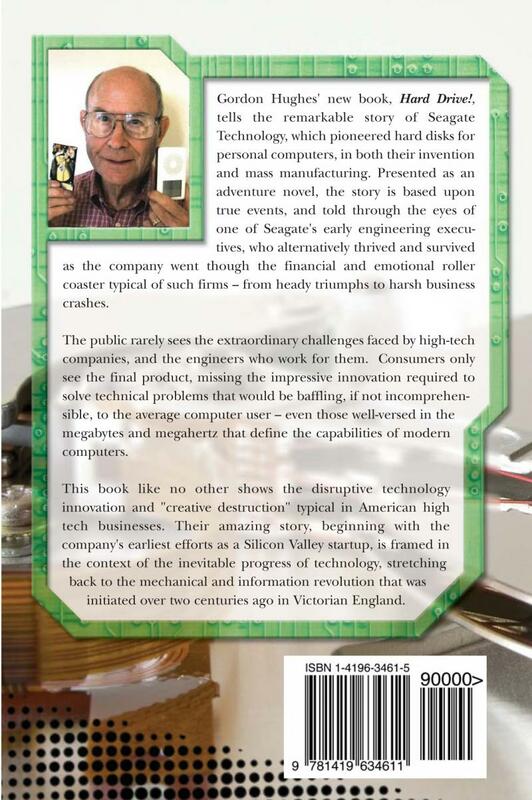 The book's background reveals little known Silicon Valley startup company realities: the engineering “alligators” that arise in product manufacturing to threaten sales and profits; the Silicon valley business competition model of simultaneous product design, sales and revenue; women in technology; U.S. patent system shortcomings in protecting commodity electronics; fighting frivolous lawsuits; and U.S. tax policies that encourage employers to send manufacturing jobs to foreign lands, barely hinted at by U.S. government leaders. Plus Plato and quantum mechanics on the origins of our universe. You may especially like this book if you enjoyed Michael Crichton's "Disclosure"
Copyright Gordon Hughes. All rights reserved.